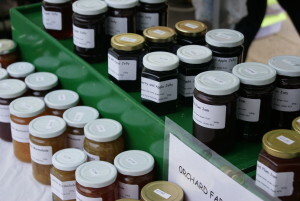 We make jam, jellies, chutney, marmalade, pickles and apple juice. We also make traditional cakes and hand-knitted gloves during the winter months. All of our products are made using home grown fruit and vegetables where possible. This entry was posted in Axbridge, Bread and baked goods, Burnham on Sea, Preserves and honey. Bookmark the permalink. Both comments and trackbacks are currently closed.